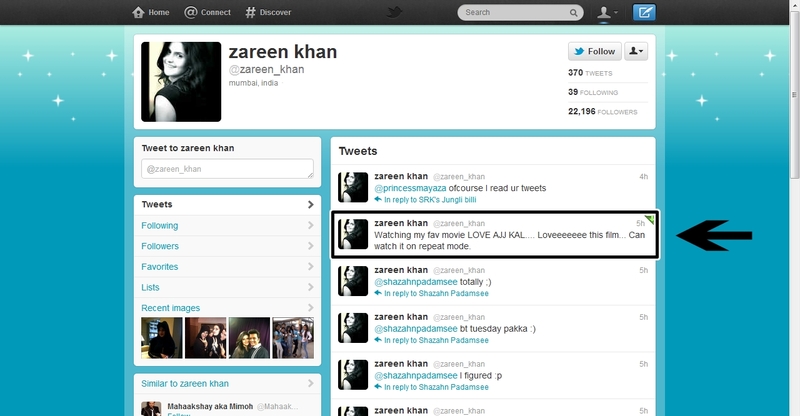 Recently Bollywood’s Gorgeous Actress Zareen Khan tweeted about her Favourite movie and that is Saif Ali Khan’s Love Aaj Kal! Here is the Snapshot of her recent tweet! Check it out!